Every company designs its business processes individually. 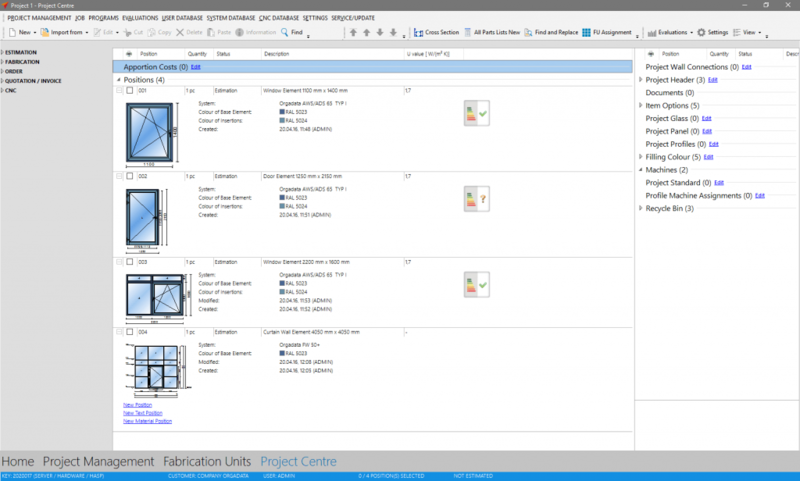 Therefore we divided the project center into several parts which can be adjusted to your workflow. On the left side you will see an overview of the standard printouts. These are subdivided into the five areas calculation, production, order, offer / invoice. and CNC. In the middle you will find the position overview. On the right side you will find the project data. When right-clicking a position, a context menu appears. This menu shows all available functions for this position. In the toolbar you will find the option „View“. Here you can switch between the different view modes of the position view. The document management is now easier and quicker to use. 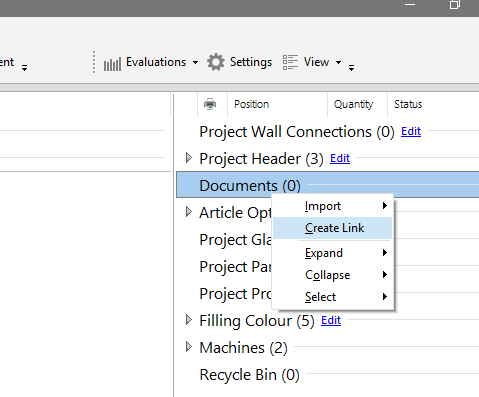 It is possible to link documents directly from your computer in the Project Center. Click on the “Documents” item with the right mouse button. Select the file in the file dialogue that you wish to attach to the selected project.